Complete digital identity for lawyers and law firms through PathLegal WebApp. 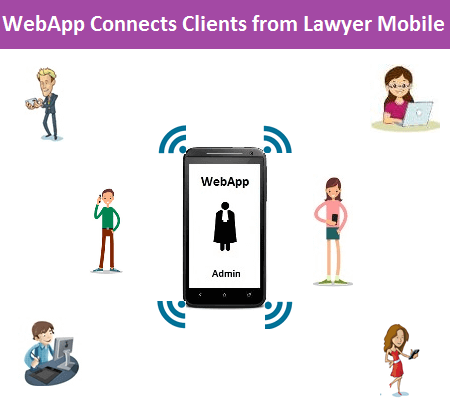 It enhances a lawyer/law firm to have digital interaction with clients and maintain them. 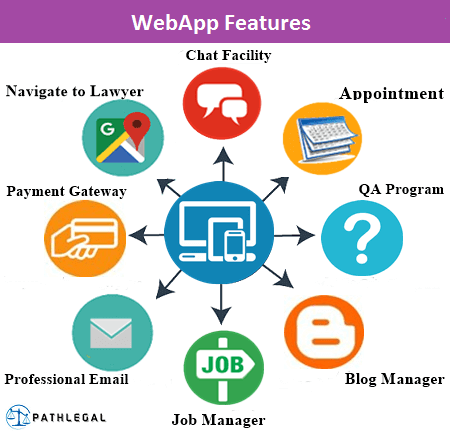 Lawyers and Law firms can be more professional by initiating PathLegal WebApp. WebApp gives a dynamic CMS mobile friendly website and mobile App as your digital identity. WebApp is search engine friendly so it is easy to find you in the digital arena. WebApp allows clients to chat with you from your Website and App. WebApp allows clients to book appointments from your Website and App. WebApp helps your clients to ask questions from your Website and App. WebApp will navigate the user to your office using the map. WebApp facilitates digital *payment gateway to manage payments. WebApp enables a lawyer to write blogs, articles and highlight important judgment for visitors. WebApp allows a lawyer to post jobs and view the applicants detail. WebApp will have FAQ page which has all your answered queries from the clients. WebApp will also provide business *email id in your business name and configure it in your mobile. WebApp helps you to interact with your clients from your mobile itself. WebApp will take care of your website, app, domain renewals & maintenances. WebApp is more economic than your website.